The Dinos are roaming freely on the terrain. 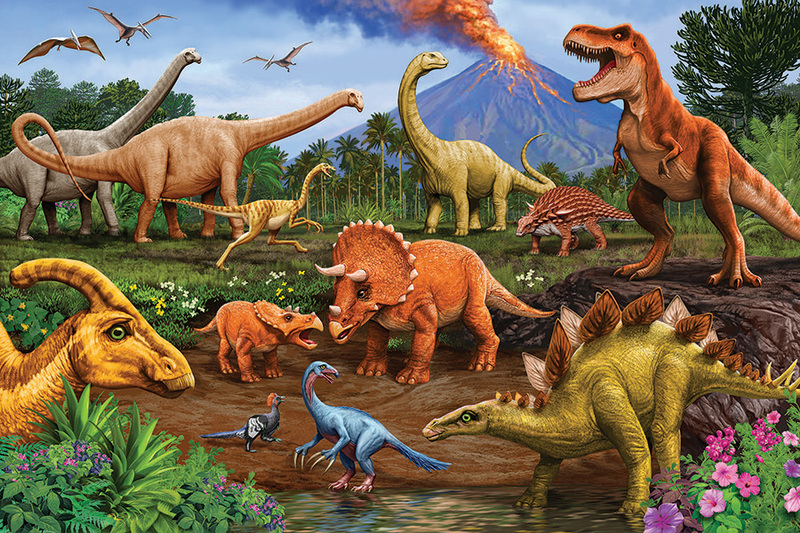 Kids will enjoy exploring the world of dinosaurs while piecing the large puzzle pieces together on the floor. Item # 55123 Weight 1.5 lbs.